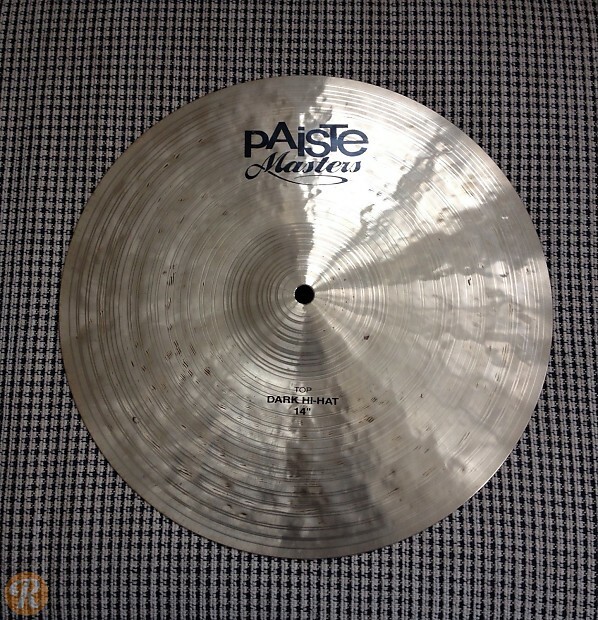 Originally intended as a line of handmade rides, the Paiste Masters became a full series in 2014 with the introduction of hi-hats and crashes. These cymbals are made in the traditional traditional hand-formed and lathed method with each cymbal possessing unique weights and tonality. The Dark Hi-Hat pairs a medium-thin top and heavy bottom hat for an atmospheric, woody response well-suited to blending in a mix.